When traveling within NYC for business, corporate executives rely on Bermuda Limousine International to deliver a consistent and reliable corporate transportation service. Our experienced and knowledgeable chauffeurs can drive you safely and swiftly to your final destination in one of our luxurious vehicles. Bermuda has one of the most advanced operations that track every aspect of weather, traffic, construction, and mostly importantly our fleet to ensure proper navigation and communication with our chauffeurs at all times. Many corporate executives prefer our chauffeurs for airport transfers. Whether flying into an executive airport or first class on scheduled air, our corporate transportation service has the experience to ensure you are not curbside waiting for your vehicle. We can provide tarmac greetings at specific airports that allow access or greeters at commercial airports to assist you from baggage claim to the vehicle. Bermuda Limousine International has the newest vehicles equipped with the latest technology. We are the first company to offer the “JETWAY” Mercedes Luxury Sprinter Van for corporate road shows. This vehicle offers Satellite Television, Wifi, and an advanced media system for displaying presentations while on the road. 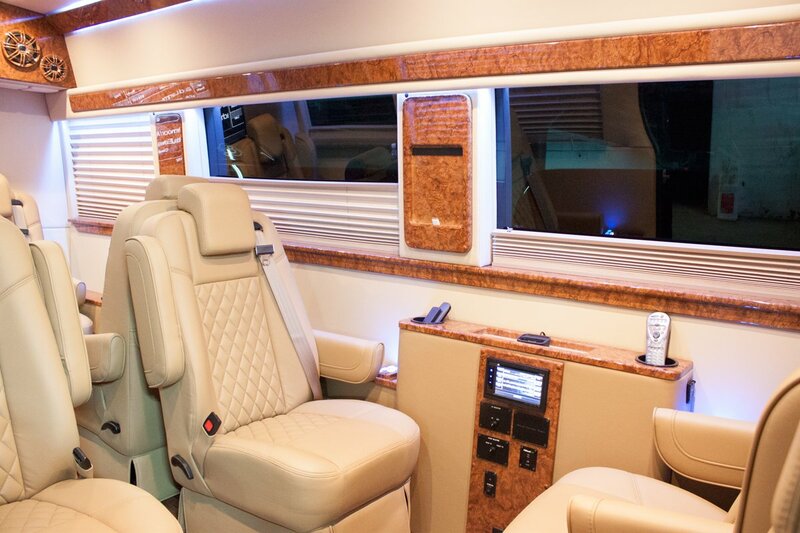 We believe that you should be as equipped in your road show vehicle as you would be in your private jet. 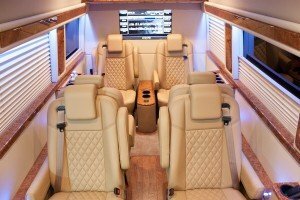 With over 77 years in the corporate transportation business, no other company has the experience and the reputation for delivering an exceptional level of service than Bermuda Limousine International. We have access to the greatest network of luxury vehicles to service our corporate clients anywhere they travel. To ensure consistent and professional service, we do periodic sight inspections on our network providers to ensure that they maintain our service standards. So whether you are in New York City, Chicago, Boston, Los Angeles, Las Vegas, Dallas, Miami, or Washington D.C. we are readily available to service your corporate transportation needs. SERVICES: Corporate Transportation, Corporate Group Transportation, Executive Chauffeured Service, Road Shows, Hourly Charters, Event Management, Private Aviation Service, Chauffeur Only Service, Elderly Transportation, Special Occasions, Airport Services, Tour & Sightseeing, Point-to-Point Service, and Private School Transportation.